For the second layout this week, Kenny and his team have created a stunning and highly-professional Moving Company Layout Pack. 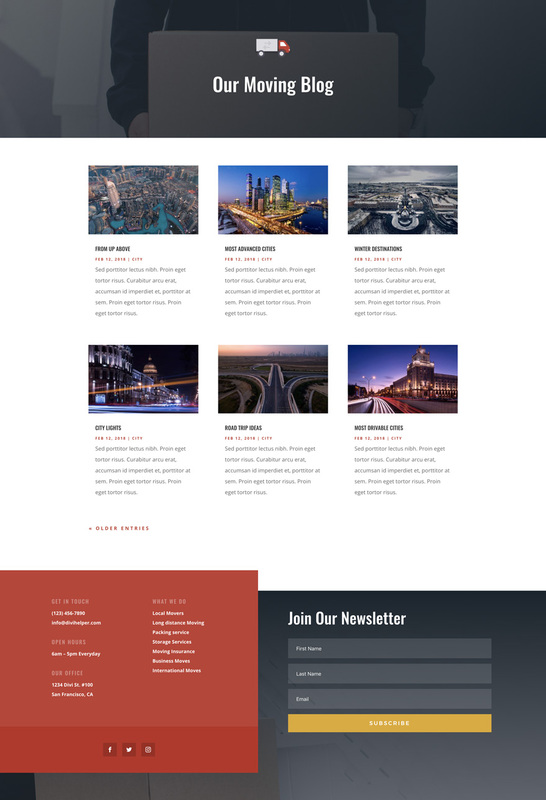 This layout pack provides you with all the necessary pages you need to set up and run a moving company website that’ll attract customers in no time. 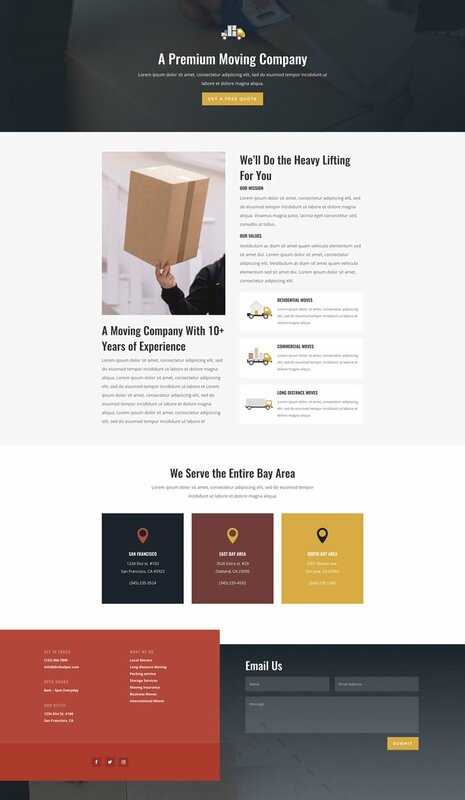 The Moving Company Layout Pack should become one of your go-to layout packs to create websites for small businesses. The color palette is stunning, the free images are impressive and the overall look and feel of the layout pack is highly-professional and service-focused. 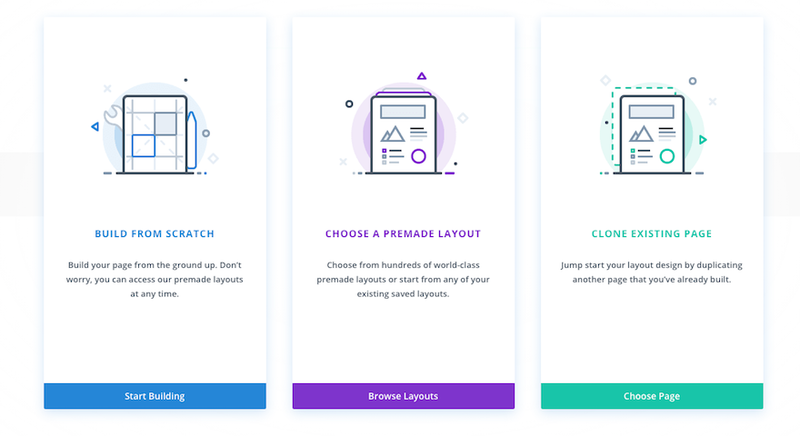 In short, an all-in-one layout pack that’ll amaze your visitors! With layouts like these I would like to see an extra free set of blurb icons. Is there a way to change layouts once a site is made? I would like to change my site from the cureent layout that I made when starting out. Now I know more and could us this layout. 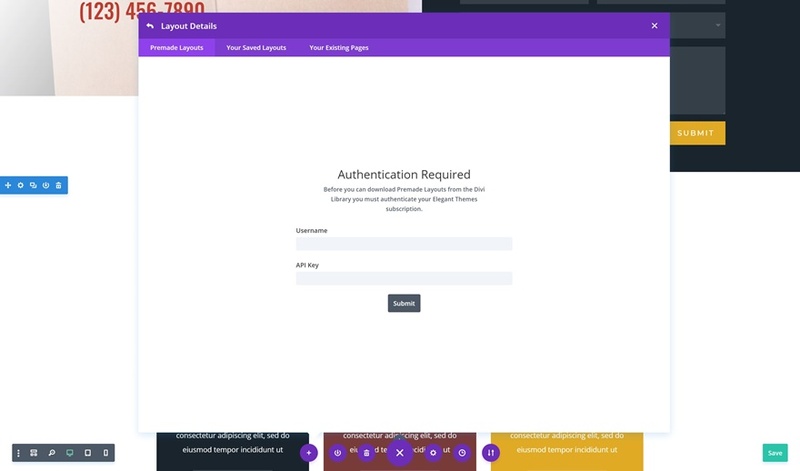 Can anyone recommend a process to change layouts on a Divi site? Hi, Chris, just create a new page and transfer your texts into it. If you have your texts somewhere saved – just replace your page content with this layout and input your old texts into your new layout. That’s what I’ve been doing. Essentially, start over. Ugh. Thanks, Kenny, for this amazing new layout! I like this layout because it could be used on many types of websites, for different companies that offer services. Yes! This is a layout that can actually be used. And it doesn’t look like all the rest. I did notice, however, that there is a call to action before there is any value-benefits to encourage that action. I know it’s common belief we should start right away with a call for action but as a consumer, I disagree. On this site I would move right past that first screen to look for what I need to know. Which seems like it ought to be features, but really is benefits. If you’ve ever paid movers, you know that how they treat your “stuff,” as well as you and your momentary nervous state, is really what’s important in having a successful move. They all use foam peanuts in cardboard boxes. But do they all pack your grandmother’s fine china with as much care as you would? So, once again, nice design is a tactic instead of a reinforcement for a strategy. But the strategy is up to me, anyway — no matter the design. Just what I was looking for. Thanks for the beautiful layout. Keep them coming. Wow, those animations looks ugly on the (latest) Firefox. What’s happening, guys? Is it the the DIVI theme or the Browser??? The animations were certainly ugly for sure on that browser. Chrome looked super smooth though. I’m uploading toe Moving layout pack,but when I get to the Blog Page its stuck on Import mode. Its not loading at all. Please assist thank you. Same here. The drop down menu items are white (same as the background), so looks like it’s blank. 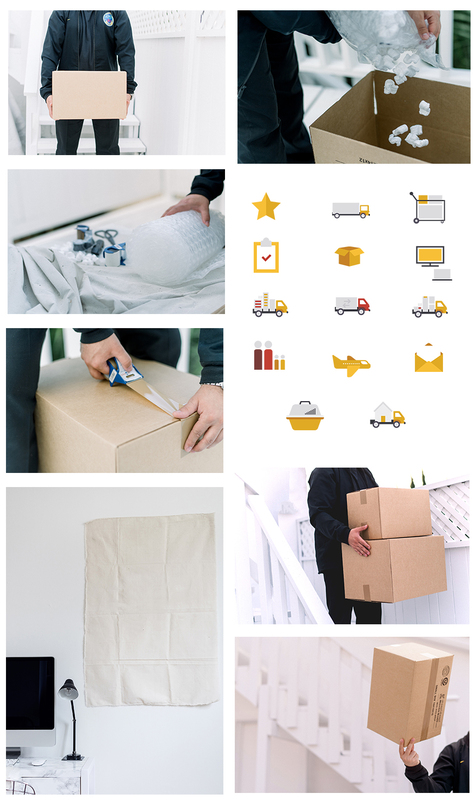 Useful layouts for moving company. Nice blog! Thanks.